Like with many diseases, researchers have failed to pinpoint the cause of uncontrollable cancer cell growth—even after billions in funding and decades of studies. A greater inherited genetic risk is thought to play a factor with certain cancers than others, especially breast cancer. Now, in a new study published in the journal Nature Communications, researchers from the Washington University School of Medicine in St. Louis, Missouri, have shed some light on why the risk is greater in certain cancer types, which can certainly lay the groundwork for better genetic cancer testing. For the study, the researchers identified rare germline gene mutations called truncations across 114 genes and 12 cancer types that increase the development of cancer. The research team tested tumors of 4,034 cancer patients in The Cancer Genome Atlas project that represent 12 cancer types, including ovarian cancer, prostate cancer, and acute myeloid leukemia (AML). The gene mutations were more noticeable in higher levels in certain cancers than others. For instance, 19% of ovarian cancers had the rare germline truncations. The analysis also showed a surprising inherited component in 11% of stomach cancer cases. The mutated gene was also found in nine percent of breast cancer cases tested. Other tumors tested with the inherited mutations include eight percent of prostate cancers, eight percent of lung 1 cancers, eight percent of glioma, eight percent of head and neck cancers, seven percent of endometrial cancers, seven percent of lung 2 cancers, five percent of kidney cancers, four percent of glioblastoma, and four percent of AML. According to researchers, when a person possesses one copy of the cancer development gene from a mutated gene of one parent at birth, the healthy copy from the other parent can compensate for the mutated one. On the other hand, when people get older, they increase their risk of cancer by developing the mutation in the healthy gene copy. The examination also provided clarity on certain mutation types in breast cancer susceptibility genes called BRCA1 and BRCA2, which are important for DNA repair. About 20% to 25% of genetic breast cancers contain the BRCA genes. Besides breast cancers, the researchers found a large amount of germline truncations in BRCA1 and BRCA2 genes in other cancers such as stomach and prostate cancer. In the study, the research team examined 68 germline non-truncation mutations in the BRCA1 gene that is not known to have any clinical importance. They also tested the effectiveness of BRCA1 gene performance on DNA repair when a mutation is present. The researchers found that six of the mutations would completely disable the BRCA1 gene. The mutations were also found in higher levels in tumors. This suggests that there is a link between mutations and cancer development. The researchers noted that although the study findings need to be confirmed from future experiments, the results may lead to improvements in genetic cancer risk testing. As a result, the testing may help identify the risk of a wider range of types of cancer. Li Ding, et al., “Patterns and functional implications of rare germline variants across 12 cancer types,” Nature Communications, 2015; doi: 10.1038/ncomms10086. 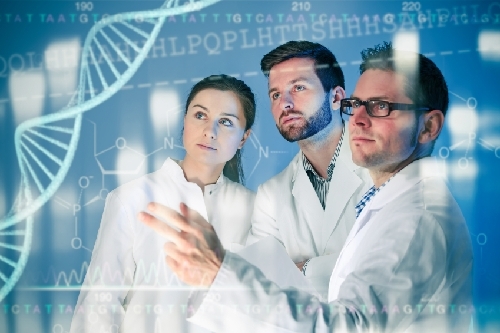 Whiteman, H., “Study reveals how hereditary gene mutations affect risk of cancers,” Medical News Today web site, December 23, 2015; http://www.medicalnewstoday.com/articles/304434.php. Strait, J.E., “Study Uncovers Inherited Genetic Susceptibility Across 12 Cancer Types,” Washington University in St. Louis web site, December 22, 2015; http://news.wustl.edu/news/Pages/Study-uncovers-inherited-genetic-susceptibility-across-12-cancer-types.aspx. Murray, M., N.D., et al, The Encyclopedia of Natural Medicine (New York: Atria Paperback, 2012), 356-357.